Spearheaded by former NBA player Yi Jianlian, fellow center Wang Zhelin-a second-round draft pick for the Memphis Grizzlies in 2016-and young playmaker Guo Ailun, China's primary aim is to finish the tournament as the top Asian team in order to qualify directly for the 2020 Tokyo Olympics. However, Bryant, the tournament's global ambassador, has urged China to aim even higher. 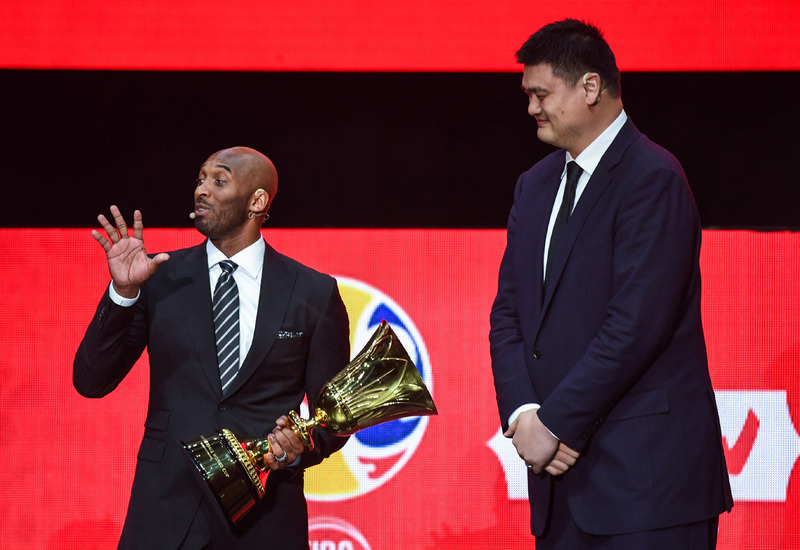 "I think Chinese basketball needs to get to a place where they say playing well at one tournament isn't enough, we want more," said the Los Angeles Lakers legend, a frequent visitor to China since 1997. "Now you have to take it to another level … can't just be comfortable being here. It's time to push the next generation to try to get on the medal podium." Rescheduled from 2018 to avoid a clash with FIFA's soccer World Cup, this year's tournament has expanded from 24 to 32 teams, who emerged from a revamped qualification system that lasted 18 months and aimed to involve as many countries as possible. "This allows us to go into more markets and to create long-lasting excitement around the event," said FIBA secretary-general Andreas Zagklis, who was appointed in December. "We are not here to deliver the Cup and leave. We are here to stay by making big investments," said the 38-year-old Greek. "Of course our sport is very popular in China and organizing the Cup will make it even more popular. A good performance by the national team will give it an extra boost. We are harnessing our potential under the leadership of Yao Ming." FIBA's footprint in China has become more noticeable in recent years. Last June, the governing body unveiled plans to build a "one-of-a-kind" basketball academy in Beijing in conjunction with Beijing Enterprises Group Company Limited to foster young Chinese talent. And, in collaboration with the CBA, the first-ever FIBA World Basketball Summit was held in Xi'an, Shaanxi province in October.